Good morning from a beautiful day at the beach. The sun is up as are the temperatures, and it is simply a beautiful day in Sandbridge. For our memory Monday photo submission we are sharing a happily ever after memory of one of our guests. That is a good looking cake! 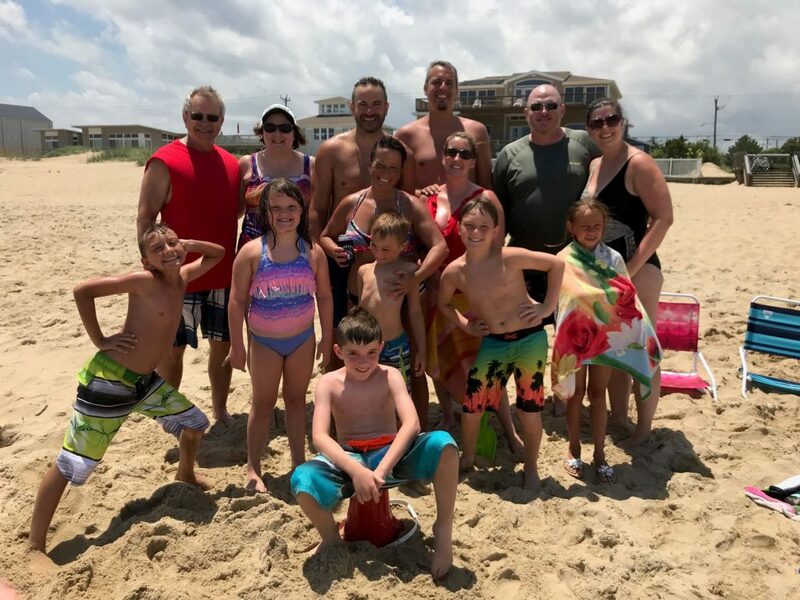 If a wedding on the beach sounds like something you would like to investigate, first of all you should pick a great vacation rental property from Sandbridge Blue where you can stay! Once you have your rental property picked out be sure you abide by all local ordinances. 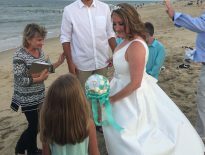 You have to have a wedding permit to be able to be married on the beach in Sandbridge. For more information on what you need to do click here. 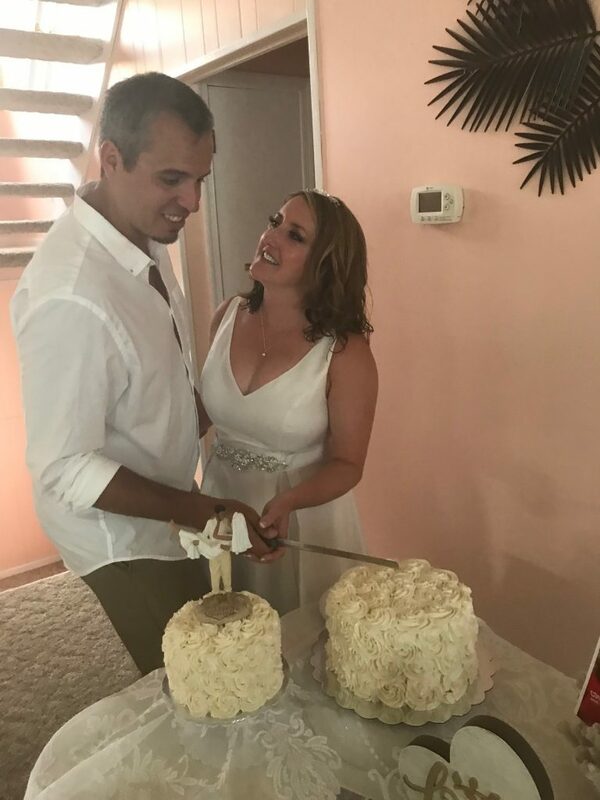 The wedding for the Grover family worked out perfectly and we look forward to having them back for many Happily ever after anniversaries to come.